For over two decades, the engineers at LED LENSER have been pioneers in the advancement of LED technology in portable lighting devices. Now, with a new line of CREE LED chips crafted exclusively for LED LENSER, they are able to offer updated and upgraded flashlights and headlamps that are lighter, brighter, and provide stunningly clearer, cleaner light than ever before. Beneath their award winning designs is advanced yet practical technology that enhances the light, its output and the user’s ability to direct it all. It’s what it means when your light is a German-engineered LEDLENSER. D LENSER developed the new “Frozen Black” textured coating for improved grip and comfort, allowing for easier handling in harsh conditions or while wearing gloves. This ultra-durable coating, along with the titanium ring bezel, can endure the toughest of tasks and resist the harshest of elements. The light unit, head straps and battery box have been designed with a specially formed battery case and more comfortable foam to conform to the natural curve of the user’s head. This ensures maximum comfort during extended use. 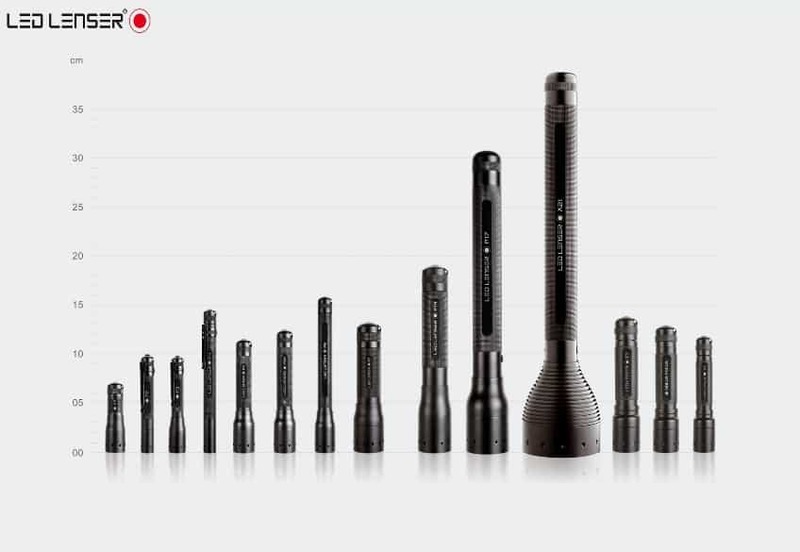 LED Lenser’s patented modular design improves system reliability by reducing the number of points of contact within a torch. It also means simpler repairs under our industry leading five year warranty in the unlikely event something does go wrong. It also means fewer replaced parts making their way into landfill. Not only smart, but good for the environment too. Please visit www.ledlenser.com.au for product information and more.